I used Casey from Saturated Canary to make a small gift card box. 1. 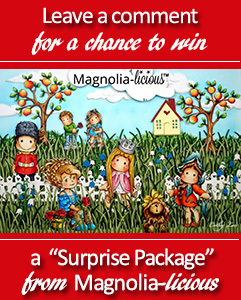 Leave a comment on any of the posts on the Magnolia-licious Challenge Blog. I have won a Surprise Package from Diana and it is very nice. Thank you for stopping by my blog today, have a great day! Wow this is fab! Love the colours and butterflies! Absolutely stunning gift card holder. 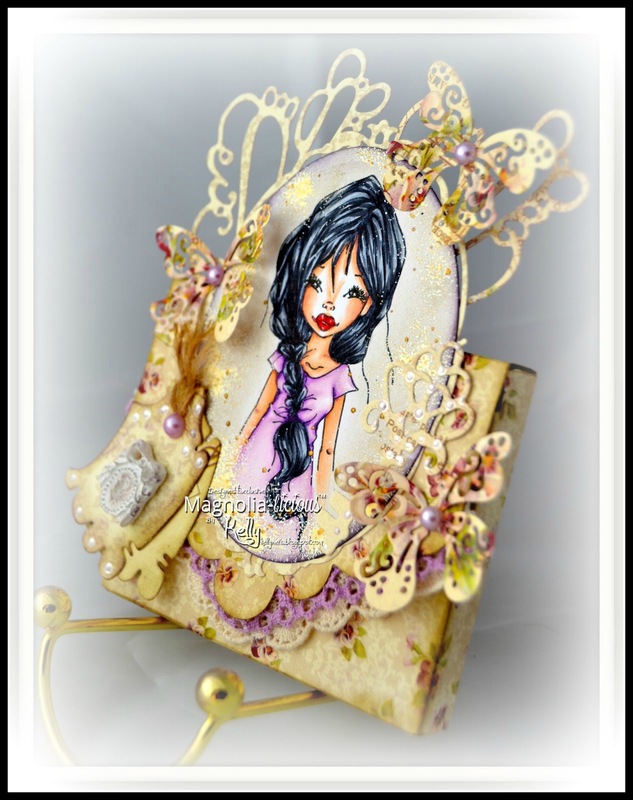 I love the shabby chic kind of look :-) Thank you for the inspirations. This creation is fantastic, so so lovely !! Wow Kelly... wow, wow, wow! Mahhooosive congrats to you, so well deserved and I am thrilled for you. Beautiful project Kelly and so perfect for your chic, layered style. Well done buddy! 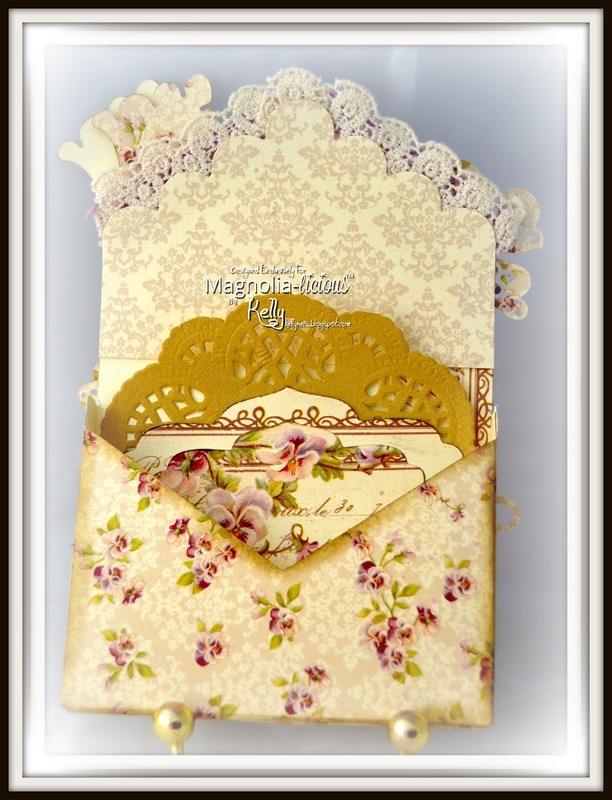 Wow Kelly congrats on your new DT membership at Magnolia-licious and your card/giftbox is adorable and so very pretty, just love it! Awesome work Kelly! I'm so a Box kinda gal so you really got my attention here. Your image and coloring are exquisite and of course all the beautiful lace and feminine embelllies are completely delightful. Love the way you took it all the way to the inside too! Congratulations Kelly! Your card/box is totally gorgeous and the DT team is lucky to have you! 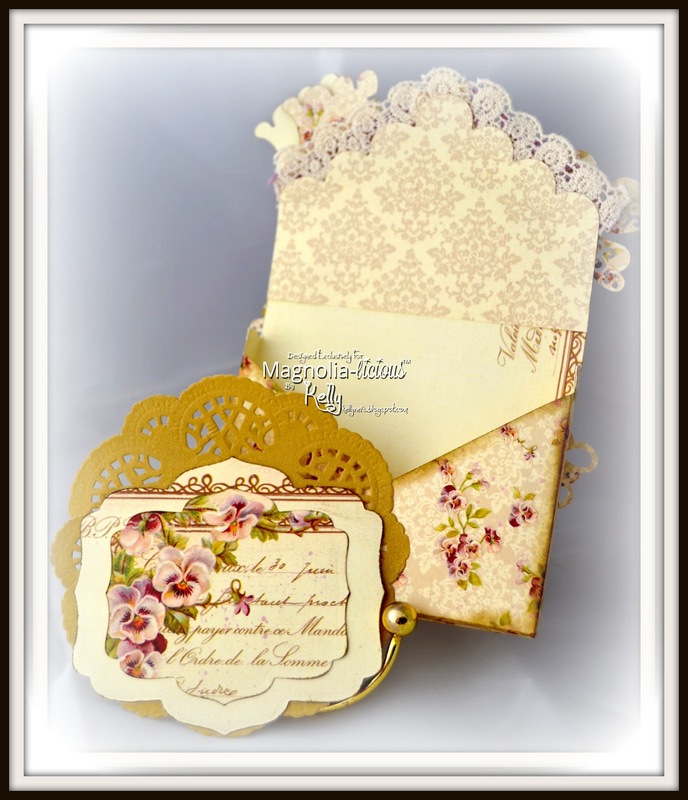 Love the coloring and all of the fancy dies that you used. All so yummy!!!! I absolutely love this! The colors, details and design. As you would say so girly......Love it, stunning! Another congratulations to you.......Great way to start the new year.